Malta has such a fascinating history. It seems that nearly everybody in Europe either controlled or tried to control this strategic archipelago in the Mediterranean. Part of the fascination of this place is experiencing the numerous influences in the language, the architecture, customs and culture. 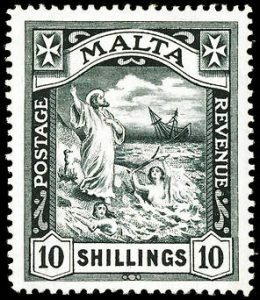 The story of Malta goes way, way back. Remains of pottery from the stone age indicate that the Sicani, the oldest inhabitants of Sicily made their way to the islands around 5200 BC. 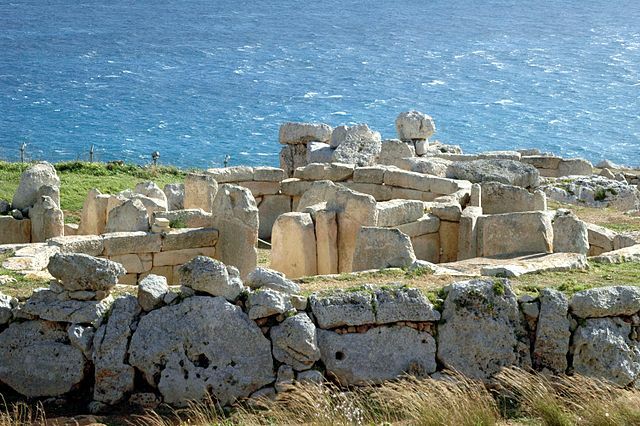 By 3500 BC, some of the oldest freestanding structures in the world, the Ggantija temples were constructed on the island of Gozo. Little is know about the inhabitants of this period and their daily life, but after about 2500, these people disappeared, likely due to some kind of famine. A contrasting style of architecture seems to indicate the arrival of a subsequent group of people, also from Sicily. They left smaller temples, called dolmen, which were thought to be single room burial chambers. Starting around 1000 BC, Phoenician traders arrived as well as the Romans. Control of the islands bounced back and forth between the Phoenicians from the city of Carthage and the Romans. These ‘Punic Wars’ lasted through much of the century but ultimately led to Malta becoming a jurisdiction of Sicily in 218 BC. A fair number of Greeks, however, had settled as early as 700 BC. and others followed. The year 533 saw the beginning of a period of Byzantine rule resulting in a struggle between Roman Christianity and it’s Eastern Orthodox form. This was all to change in 870, when Malta fell to Arab invaders and the Muslim religion was enforced. Christians were forced to either convert to Islam or pay a tax. This Muslim period was key to the development of the Maltese language which follows an Arabic form of grammar. 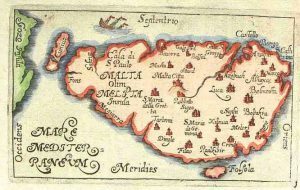 We are again reminded of the strategic importance of the islands of Malta by the events of the year 1091. 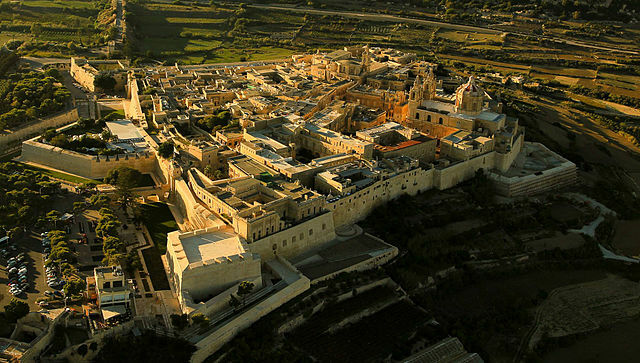 Malta returned to Christian rule and became a part of Sicily as a result of Norman conquest. Under Roger of Sicily, a productive period followed. Around 100 years later, however, the German dynasty, known as Hohenstaufen, took control of Sicily. The Hohenstaufen ruled for almost a century. In 1249, all Muslims were expelled unless they agreed to convert. In the year 1282, the revolt known as the ‘Sicilian Vespers’, where an uprising against Charles I, the French born ruler of Sicily took place on Easter Sunday, resulted in a great battle at the Grand Harbour. This time the Spanish, or, more specifically, the Aragonese of the House of Barcelona came to the aid of the Maltese in the Battle of the Sicilian Vespers. This rule lasted for almost 50 years. 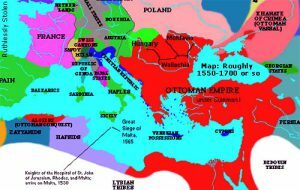 The Knights Hospitaller, otherwise known as the Knights of St. John, were a military and religious order that had been driven away from the island of Rhodes by the Ottomans in 1522. 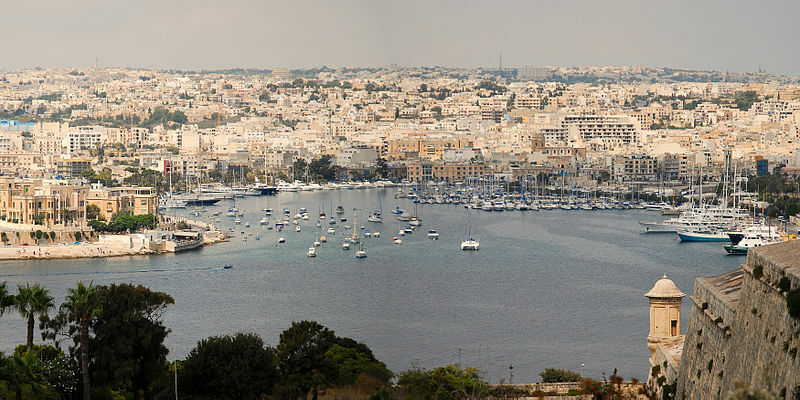 In 1530, Malta was handed over to the Knights and under their rule, the most significant architectural and cultural boom in Malta’s history ensued. New cities, fortifications and towers were built from golden limestone. 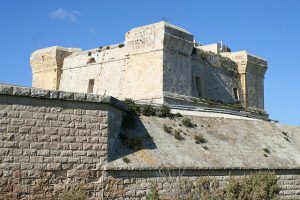 The fortifications coupled with the bravery and persistence of the Maltese, succeeded in fending off a huge assault by the Ottomans in 1565. 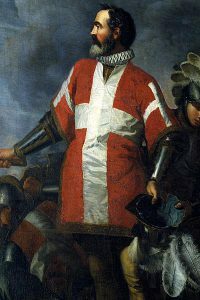 The Maltese fighters were led by Jean Parisol de Valette. The capital city of Valetta was built and named after Valette in the years following this battle where many lives were lost. 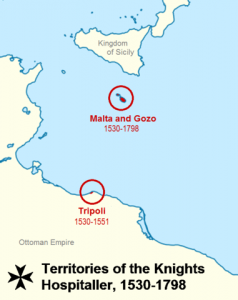 The Gozoans were not as fortunate as the mainland Maltese in terms of attacks. Fourteen years earlier, in 1551, Barbary pirates captured, enslaved and transported all 5,000 Gozoans to the Barbary Coast of Libya. The Knights were able to avoid a similar fate on mainland Malta and soon went about resettling Gozo with Maltese from the mainland. In 1675, however, 11,000 of the population of 60,000 succumbed to the plague. By 1598, the Knights had become unpopular and appeals from the islanders resulted in the capture of the island by Napoleon as he was making his way to Egypt. 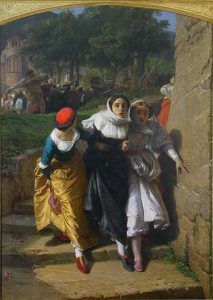 Under French rule, the slaves were freed and all inhabitants, including the Jews and Muslims, gained rights as a result of the prevailing ideals of freedom and liberty during the French Revolution. Regardless, the French soon became unpopular and in 1800, Britain sent her navy to the islands. 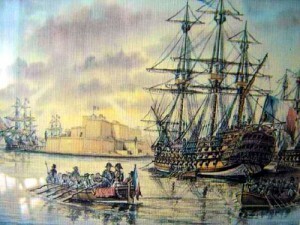 The French surrendered and in 1814, Malta officially became part of the British Empire. The opening of the Suez Canal in 1869 only led to further the importance of Malta in the Mediterranean as a trade route stop. During World War I, Malta attained the nickname “Nurse of the Mediterranean” due to the number of wounded soldiers treated there. World War II, saw heavy bombardment of the island by Italian and German air forces in a fierce battle against the Royal Air Force and Navy in what was known as the Siege of Malta. 30,000 buildings were destroyed and 1,300 civilians were killed in addition to heavy losses on both sides of the battle. Independence came for Malta on September 21, 1964, although Queen Elizabeth was retained as head of state. In 1974, Malta became a republic within the British Commonwealth. The islands became a part of the European Union on May 1st, 2004, and joined the Eurozone, adopting the Euro currency on January 1st, 2008.